Isn’t it annoying to enjoy the first couple of laps in the swimming pool and see that your right earbud falls off, filling your ear with water? You may have given up finding the best ones. The good news is that, there are ways in which you can keep your headphones in while swimming. 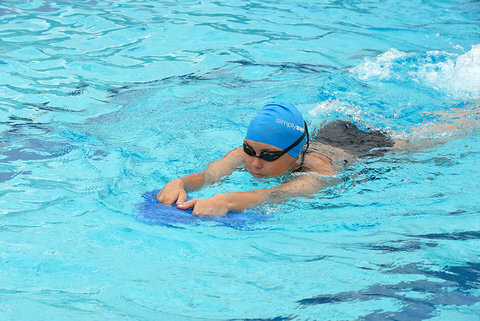 Take note of the following tips so that you can focus on your swimming more. During the initial uses of your headphones, you certainly do not know which fit suits you the most. With this, all you have to do is to have some trial and error done. Headphones usually come with different sized ear tips. You can start by using the largest size which can fit right into your ear. You may experience some discomfort, but this may do the trick, actually. In certain cases, you may need to use different sizes for each of your ears. It is very important to choose the right fit in order to achieve the best sound quality. In this way, there is no need for you to crank up to crazy volume levels as this may damage your hearing. By using an ear wrap or a swimming cap, you can secure the earbuds right underneath. You may also tuck the cords inside or fasten them accordingly under the straps of your goggle. There are certain options which come with short cords of just about 10 circles, making the cord a whole lot easier to reduce and easily manage a drag. If you are already wearing a swimming cap and yet you still notice that your headphones still fall out, you may want to swivel or turn the plastic stem around. This is the part that comes off from your ear. Make sure that it lays flat. When your swimming cap covers your ear and earbud, it will press on the hard stem of your earbud, popping the earbud out of your ear. In order to avoid this, you can turn the plastic stem around in a similar way that you point the hand of a clock in various directions. You can continue rotating this until you can experience less pressure coming from the swimming cap. Then again, it may be different with each of your ears. In order to achieve the best fit and a great seal, make sure that you pull your earlobe back and up, in order to straighten out your ear canal. With this, your earbuds go in right straight. You can also do this using the opposite hand around just right behind your head. Afterwards, you can pull back and up on your earlobe, inserting your headphone using the other hand. You can also do the same as you take them out in order to keep its tips from falling off from inside your ear. You may want to use products such as chapstick or Vaseline around your ear canal in order to create a watertight seal. You can put your headphones upside down so that the wire can go above, not right below the tragus. Afterwards, you can wrap the wires going the back of your ear. This usually works for others, and it may also work for you too. 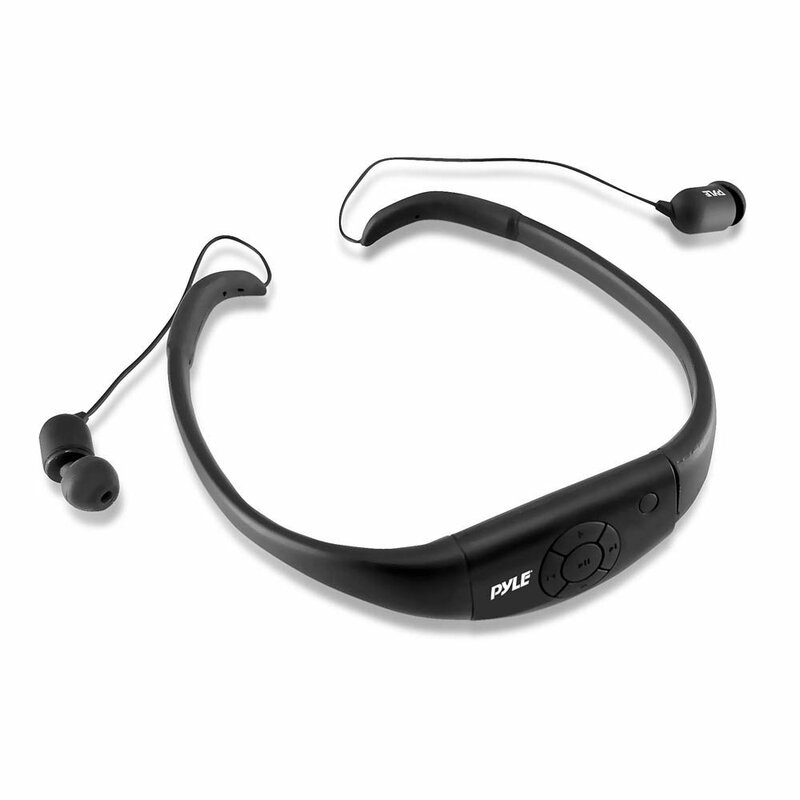 You may also flip the earpiece outface. Then, you can wrap the part that is flat using a thin tape, flipping the earpiece back, checking if it is already better in fit for you. You may also want to use superglue in order to attach the earbud tip permanently to plastic stem earpiece, making sure that they don’t separate. This will just prevent your earbud from being stuck right in your ear. On the other hand, if they actually separate, you may have to use tweezers so that you can pull the rubber tip. Keep in mind, however, that there is a drawback to using superglue. If earbud tip wears out or if you need a different size, you will not be able to replace it. You may choose to wear earplugs that are moldable over your headphones. This will keep your earbuds secure and snug. At the same time, this will also enhance the sound quality. This strategy may also work by lessening the sound produced by water as it rushes past both ears. As a result, you can hear better music right at a lower volume. 8. A final attempt- use the kick board! If you notice that all of the above tips fail, you can still get that kick board, working your way with your head right out of the water. Of course, this is not recommended if you are planning to do those laps, but this is ideal if your only goal is to keep your earbuds right in your ears. There are also some “street smart” tips that you may also want to take into consideration. These tips are discovered by some who regularly use headphones, and found that they are very helpful. For instance, some found that using sponge and shampoo, and rubbing them thoroughly, works in order to ensure that the headphones stay right in your ears. You may also take off the rubber ends, putting them back on in a reverse style. This is the perfect solution for some. Still, you may have to consider how intense the swimming activity is, and how active you also are, because these two factors may still fall out as you move a lot. Indeed, swimming is a very active task since water may be very unpredictable. At the same time, ears of people come in different sizes and shapes. The good news is that, there are also different headphones, alongside different sizes of earbuds and eartips which can be used in order to make sure that you have the right fit, thus keeping your headphones right in while you are swimming.